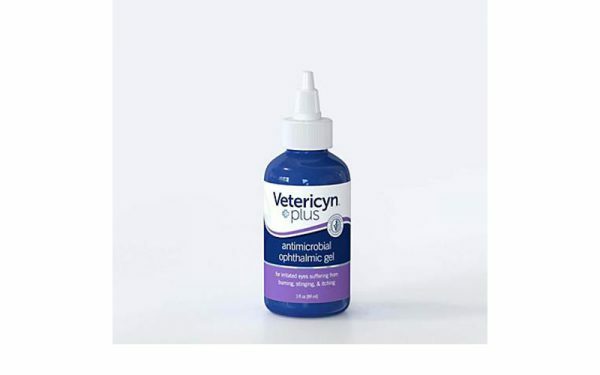 Vetericyn Plus Ophthalmic Gel is a great solution for troubled eyes. Based on advanced hypochlorous technology, Vetericyn Plus Ophthalmic Gel is formulated at an appropriate pH level and will not burn or sting. A safe alternative to eye solutions that contain antibiotics, our Ophthalmic Gel Contains no antibiotics yet is still highly effective. Our highly effective Ophthalmic Gel is antibiotic free and offers a good alternative to other eye ointments. This product is also helpful for symptoms of pinkness of the eye, eye abrasions, and eye irritation. Used in conjunction with any of our Vetericyn Plus Eye washes or Pink Eye Spray, this product will help maintain happy and healthy eyes. From your home to the farm or ranch, Vetericyn makes caring for your animals simple and easy.